[UPDATE 2] A new post on the PlayStation Blog confirmed some additional Red Dead Redemption 2 gameplay details. According to the post, players will be able to customize the HUD and even play without it entirely. Additionally, Legendary Animals will drop items that can be used for crafting and some towns have illicit businesses that have to be discovered. [UPDATE] The second gameplay trailer is out now. Check it out in all its 4K glory below. Red Dead Redemption 2, the new entry in the open world series by Rockstar Games, is now less than a month away from release, and the developer is ready to show more of its gameplay in action. 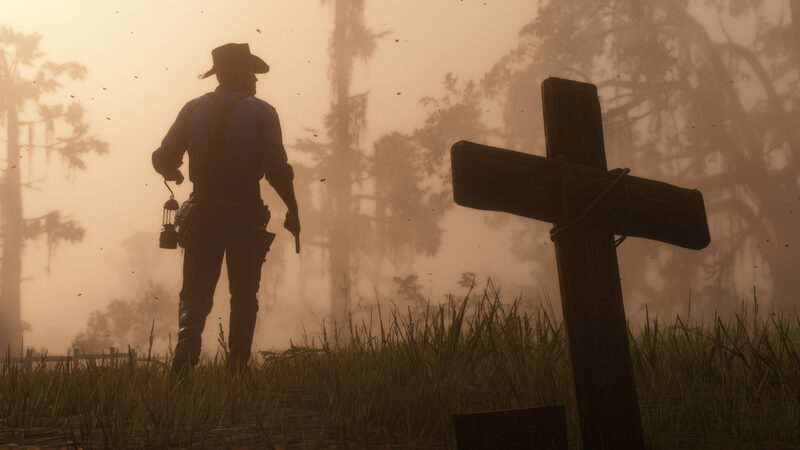 On its official Twitter profile, Rockstar Games confirmed that a new Red Dead Redemption 2 gameplay video is going to be made available later today at 9 am Eastern. Last week, images of the Red Dead Redemption 2 PlayStation 4 Pro bundle have emerged online, revealing the required free storage space for the digital version of the game as well as some additional info, such as the PlayStation 4 version of the game getting exclusive content 30 days before the Xbox One release and the number of players that can participate in Red Dead Online. The PlayStation 4 Pro enhancements have also been revealed. Red Dead Redemption 2 launches on PlayStation 4 and Xbox One on October 26th.